Cambodia has a “unique window of opportunity” to reduce its carbon footprint by making energy production and transportation more environmentally friendly, according to a study published earlier this month. The study, published in the Journal of Renewable and Sustainable Energy and worked on by Royal University of Phnom Penh researcher Chanrith Ngin, says that Cambodia produced an average of 0.31 metric tons of carbon dioxide per citizen over the course of 10 years from 2001 to 2011, predominantly due to a large rural population that remains unconnected to the national grid. 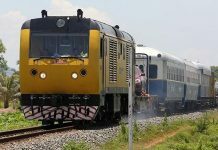 Cambodia could reduce this figure with a shift toward hydropower dams and urban planning initiatives, which have already included “outlining a system of buses, a sky-train, walking paths, and biking trails,” the study says. 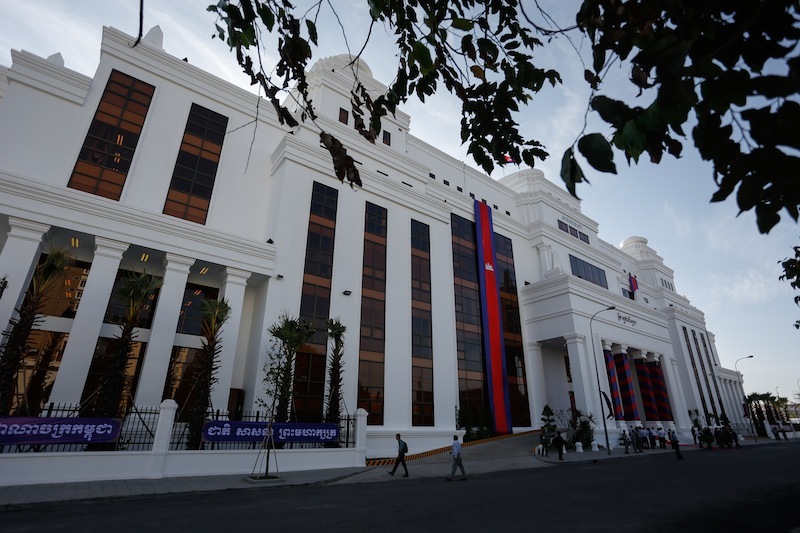 The country could also take advantage of its numerous waterways and look to invest more in rail to improve both its transportation network and the poor quality of its air, attributed in the study to the high number of secondhand vehicles clogging the country’s roads. Improving air quality has already been shown to be a pressing concern. Cambodia was ranked 148th out of 180 countries for air quality by the Environmental Performance Index last year. The study says the high volume of secondhand vehicles is also economically damaging, particularly in Phnom Penh. “Congestion (along with lax respect of traffic laws) in the capital city is costing the country $6 million a month (from cost of petrol and lost job productivity),” it says. 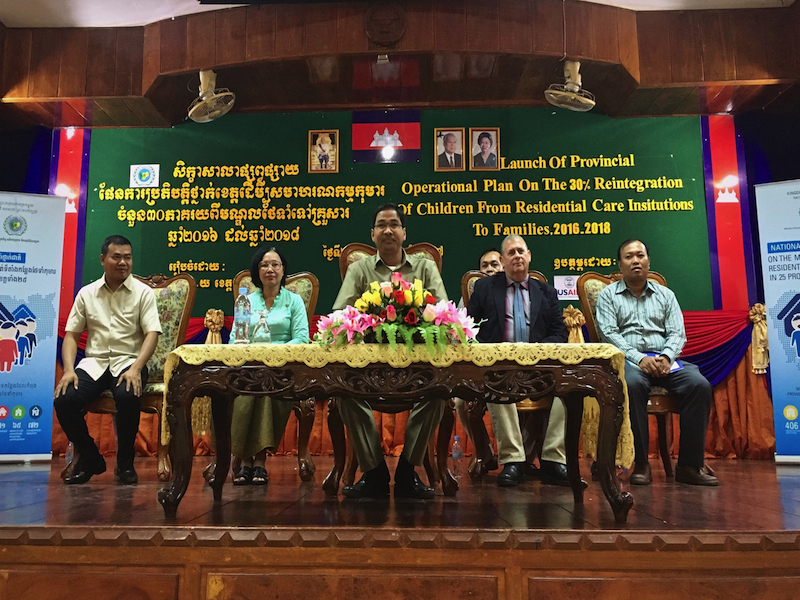 Can Vichet, program manager for the Cambodia Climate Change Network, warned that while hydropower projects were good for reducing emissions, there was always the risk of human and environmental costs. “Hydropower is a useful area, but I think [the government] need[s] to do proper assessments and get harmonious balance between people, profit and climate,” Mr. Vichet said on Sunday. As of 2014, the country’s five operational hydropower dams provided the single largest contribution to the country’s power supply at about 60 percent, the study says. However, previous dam construction in the country­—along with another 17 currently identified sites plus 16 more undergoing assessment, according to the study—has drawn ire from conservation groups. The Lower Sesan II dam in Stung Treng province, which is close to completion, has been marred by accusations of illegal logging, forced land evictions and depleted fish stocks. 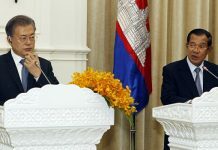 Tin Ponlok, secretary-general of the National Council for Sustainable Development, said that Cambodia’s recent ratification of the Paris Agreement on climate change had initiated the Intended Nationally Determined Contribution (INDC) plan, which details how the country will reduce carbon emissions and adapt to climate change. 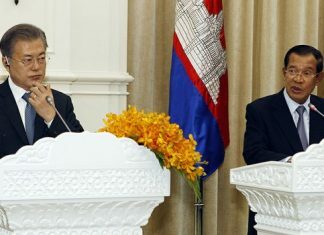 The INDC is not legally binding and is reliant on foreign donorship money, Mr. Ponlok said, adding that Cambodia would aim to reach its goal outlined in the INDC as reducing emissions by 3,100 gigagrams of “carbon dioxide equivalent” by 2030.